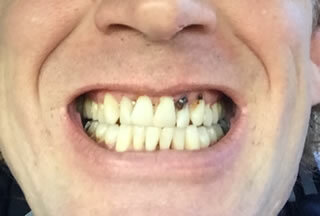 Chris had some visible decay on his front teeth which was repaired with bonding and white filling and elected for dental implants for his back teeth. 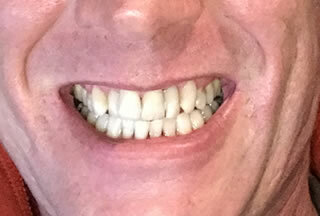 Chris before bonding, white filling and dental implants. What Exactly Are Dental Implants and What Are All of These Crazy Terms I Keep Reading?! Copyright © Walton Family, Cosmetic & Implant Dentistry | Privacy | This is a secure website.